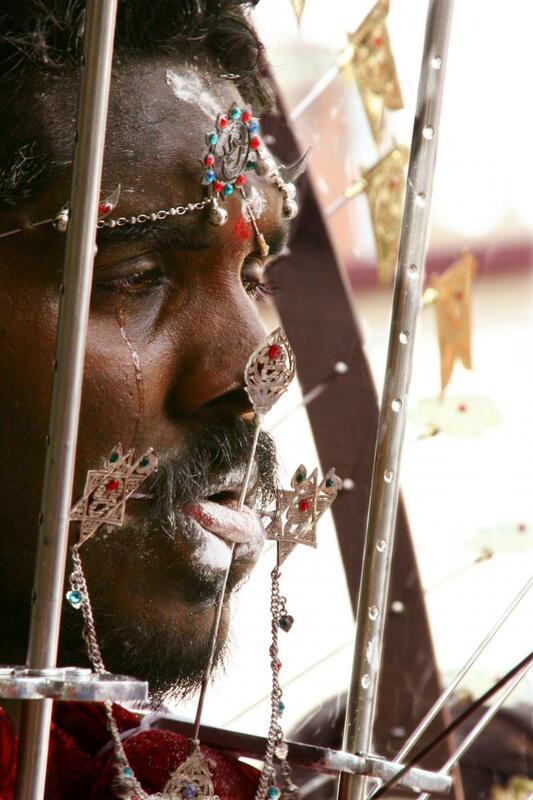 Thaipusam is a Hindu procession of devotion where devotees use meditation, abstinence and prayer to cleanse themselves and prepare for ritual piercing. They carry beautifully decorated metal cages called Kavadi in a 5 km long procession. Even children participate in Thaipusam.